ST. GEORGE – The next time you see a deer along the road – at night – it may not be what you think it is. Instead of being a flesh and blood creature hunters would love to claim, it’s a lifelike, robotic decoy designed to catch would-be poachers. 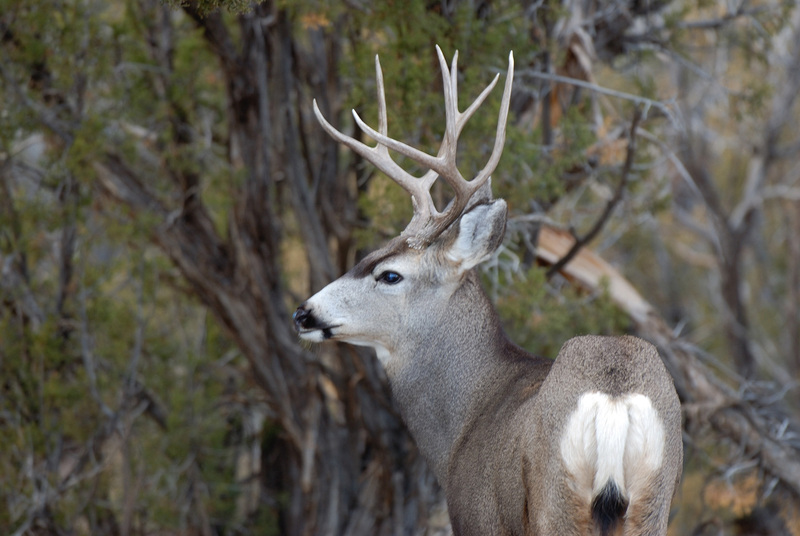 One such decoy has been making the rounds in Southern Utah over the last week during the state’s archery deer buck hunt that wraps up Friday. The deer, which is “fairly lifelike,” Washburn said, is deployed in areas where reports of illegal spotlightings arise. The decoy is set up on the side of the road at night as a DWR officer hides nearby and waits. While waiting, the officer controls the movements of the deer with a remote. While the under the light of day, the fake-nature of the deer is obvious, yet once night falls it becomes a convincing facsimile for a passersby. DWR has also used painted silhouettes covered in fur as effective nighttime decoys and lures, Washburn said. “They don’t have to be very sophisticated, especially at night,” he said. Fake as it may be, the decoy is effective at drawing attention. “Every night we’ve run it, we get people who see it and stop, even if they’re not hunters – or they are hunters who are ethical and legal – they get out and get excited and take pictures of it thinking it’s the real thing,” he said. While the DWR officers leave the law-abiding wildlife enthusiasts alone, they will move in on the would-be poachers who shoot the decoy. Some nights are particularly successful, Washburn said. Over the course of three hours one night, three bow hunters were caught shooting the decoy and cited accordingly. Other nights, you end up sitting and waiting, he said. While the decoy has primarily been a target of opportunistic bow hunters who shot arrows into its artificial, foam-filled carcass, it’s also been shot at with muzzle loaders, shotguns and rifles. “It’s been hit quite a few times and keeps on keeping on,” Washburn said. 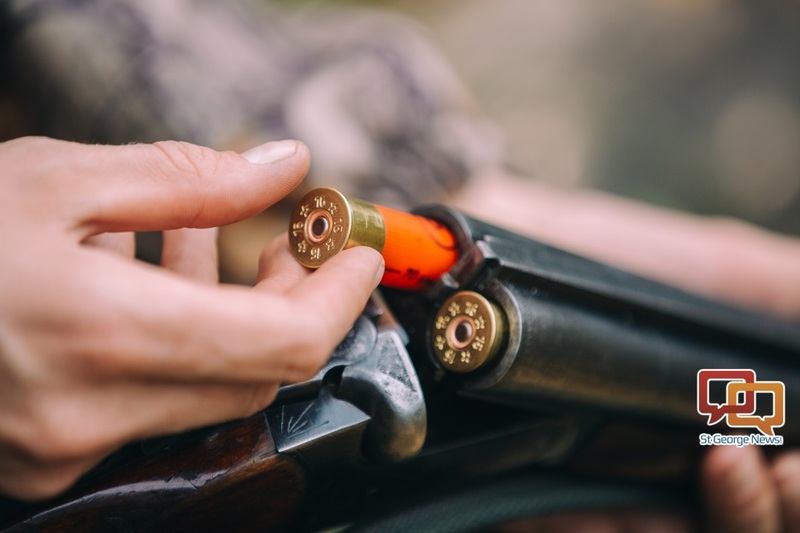 Because shooting a deer doesn’t quite rise to the same level as unlawfully taking down a live trophy buck, those who shoot the decoy face a class B misdemeanor while also having their hunting privileges revoked for a period of time. Actually killing a trophy game animal in Utah can result in a class A misdemeanor or a felony, plus several thousand dollars in fines, among other potential consequences. 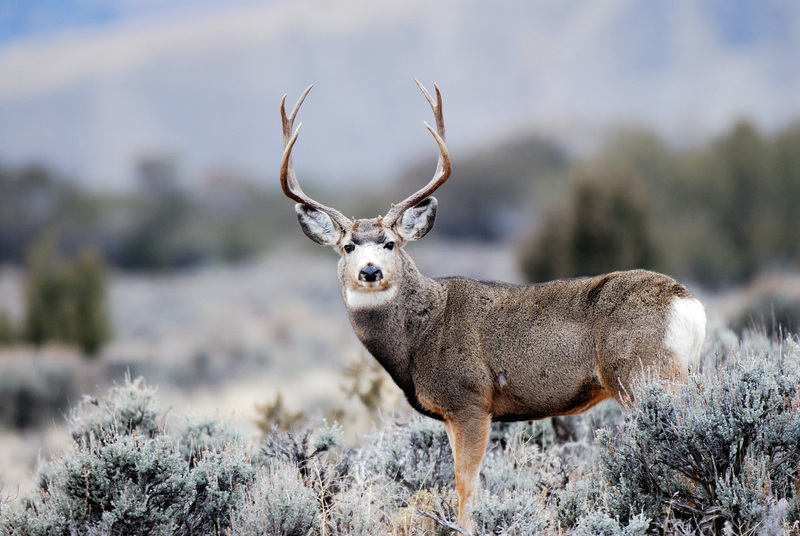 Killing a deer with a 24-inch antler spread or larger in Utah can result in an $8,000 fine. Best leave Rocky Mountain bighorn sheep alone, too, because poaching one of them can result in a $30,000 fine. “Poaching is an issue, not just in Southern Utah, but all over the state,” Washburn said. So far this year, DWR officers in Southern Utah have investigated various incidents of poaching involving the removal of deer heads, he said. A more recent incident involved a man shooting a deer with a rifle while on an archery hunt tag. When someone is convicted of illegally killing or possessing protected wildlife, they often have to make restitution payments. These payments go into the Help Stop Poaching Fund, which pays rewards to hunters who help catch and convict poachers. If the DWR determines that a poacher’s crime is intentional or reckless, he or she may lose the right to hunt and fish in Utah and many other states. Utah is a member of the Interstate Wildlife Violator Compact, which is an agreement among nearly three dozen states to honor each other’s decisions to deny licenses and permits to poachers. Maybe it is just me, but there seem to be a lot of DWR personnel assigned to keep track of hunting/fishing activities in the state. My only hope is that someone, using common sense, is figuring out how to preserve the most threatened species, while not wasting time and effort on the plentiful. I realize wildlife population estimates are not precise, but let’s hope we are protecting the lost precious…..
All wildlife needs to be preserved equally, not just a selected group. Poachers are like illegal aliens, they need to be arrested and dealt with according to the laws. Can poachers still be hung in the town square? they should put one of these near the mayors yard in huricane, just to see what happens.